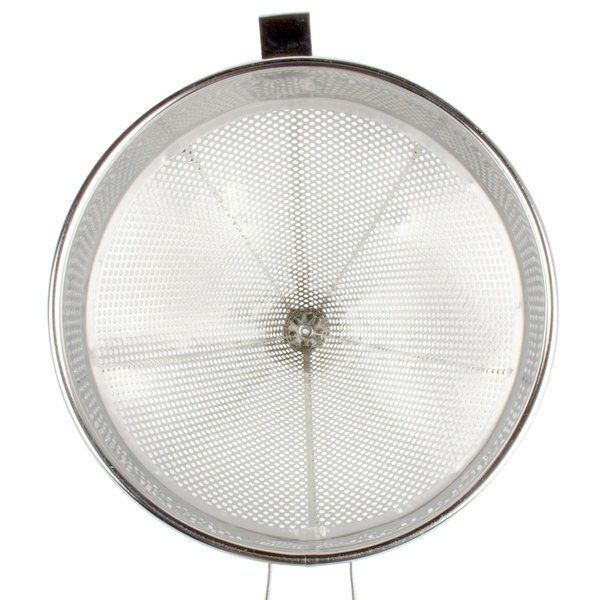 Easily remove seeds and other coarse matter from soft foods with this 9" cap strainer! 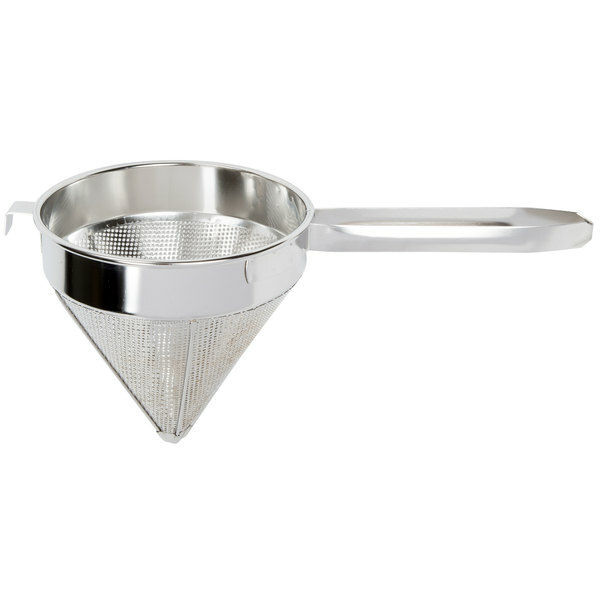 This 18/8 stainless steel strainer features a coarse mesh, perfect for delivering a fairly smooth consistency. The handle promotes stability while keeping hands at a safe distance from heat, while the classic conical shape ensures ease of use. 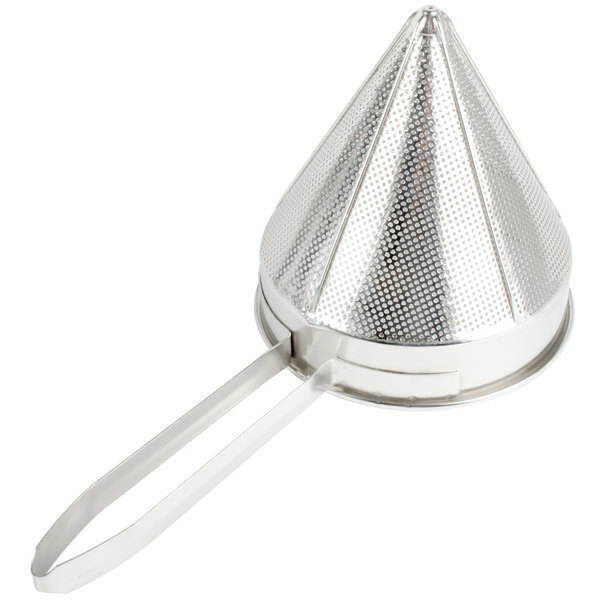 This cap strainer is guaranteed to last thanks to its durable 18/8 stainless steel construction. The 9" Coarse China Cap Strainer is well made and sturdy. 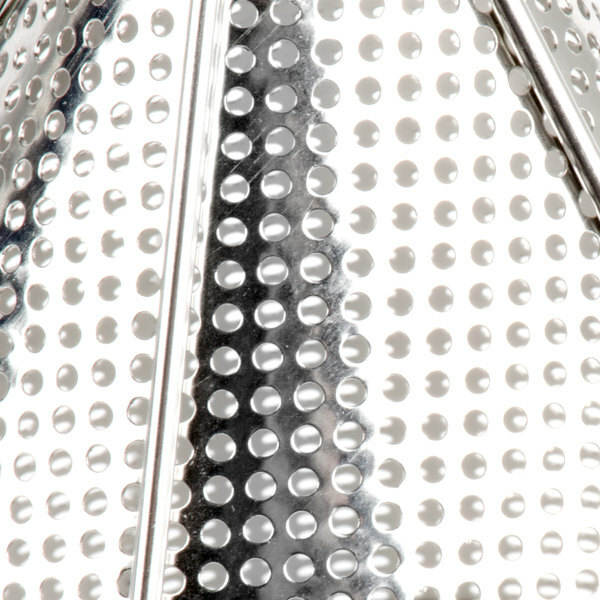 There isn't too much to say about a strainer but it is durable and long lasting. This is a little bigger than I anticipated, but it worked well in a 20 quart pot to strain a soup. 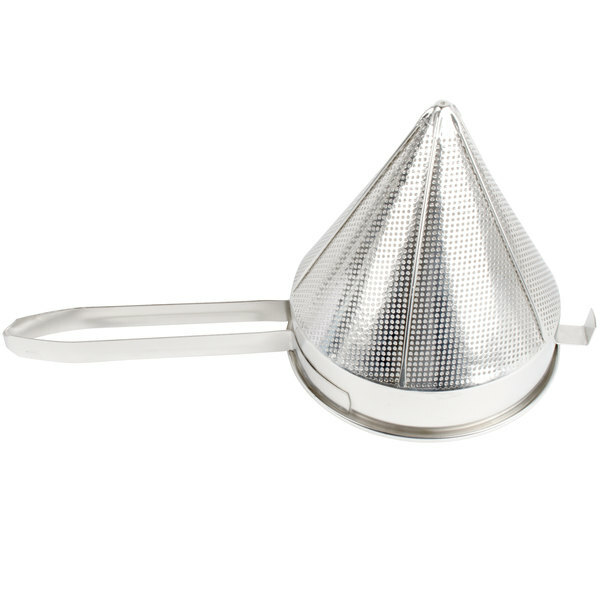 I never owned a strainer like this before, and it made the job really easy. A little hard to clean if you do not rinse it before the stuff sticks inside the holes. I basically rinsed it immediately after each use and that worked. Bought this in October and the handle fell off by January 1. When I reread the info on Webstaurant, I see that it is supposed to be hand washed. We did not do that so reordered and will give it a try. Am thinking it is just too cheap for our purposes and we need to invest in a more heavy duty model. Thank you for the review, Martha! We are sorry this did not hold up for you. 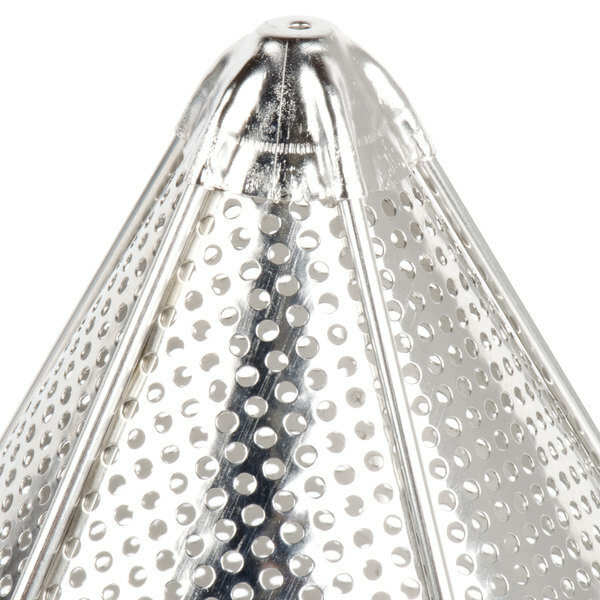 We do recommend that this strainer is hand washed. 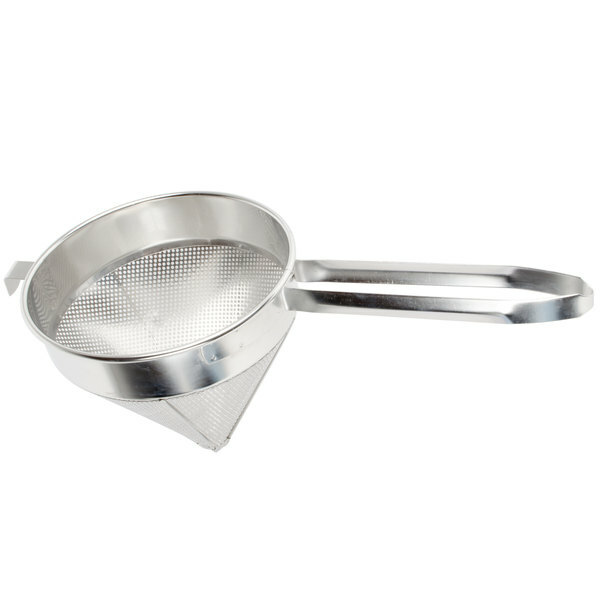 This is a great basic china cap strainer that works nicely for straining stock and sauces! It works good for straining large chunks and small portions of pasta! !